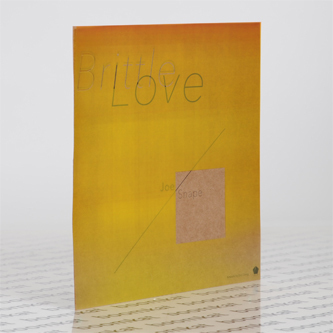 "Brittle Love is a suite of songs scratched together from the teary depths of a computerised pop dream. From a few raggedy Technicolor melodies bloom luscious strings, xylophones, and drum machines. But something’s not quite right: you can almost hear the sticky-tape holding together the synthesisers, the vocals are forever slipping away from the beat. This is pin-point electronic music put together with Early Learning Centre scissors, a pot of PVA glue, and a page of Lonely Hearts classifieds ripped from a regional newspaper. 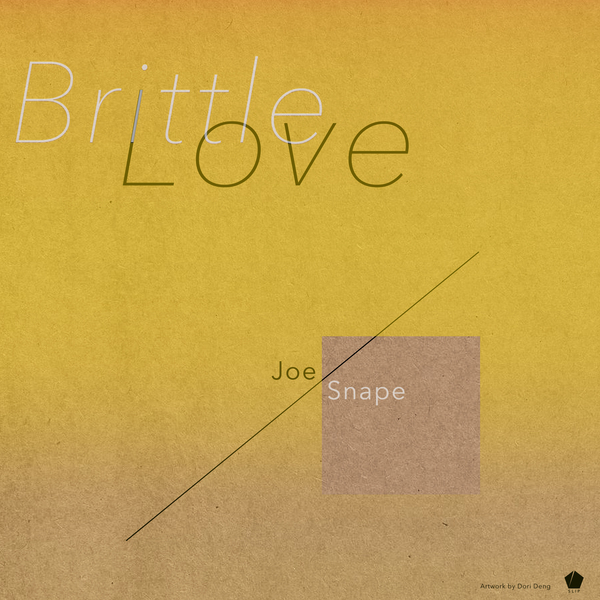 Joe Snape makes precise music in bright colours with the help of electricity. He grew up in England’s Birmingham with a glockenspiel mallet for a dummy, and wants very much to make strange songs that delight. He is particularly committed to the kind of sounds that, if they were people, would be the last picked for sides in a game of schoolyard football. He lives in Berlin, and is happily myopic. His work, solo and together with others, has been presented at festivals and venues including Melkweg (Amsterdam), ACUD Theatre (Berlin), Supersonic (Birmingham), Café Oto (London), Wonder Site (Tokyo), and The Kitchen (New York City). He studied for old-school music degrees at Cambridge, Oxford, and at the Institute of Sonology."